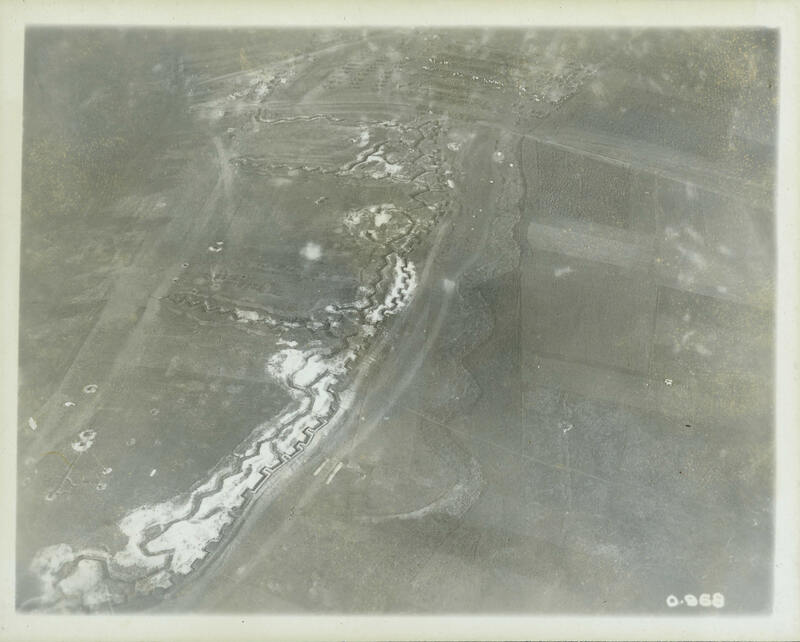 The zig-zag lines on the left are communication trenches leading back towards the rear areas in this October 1916 photograph of the Somme. The front line is better laid out, according to regulations, and the periodic bays allow for parts of the front line to be lost, without comprising the whole trench. The white chalk beside the trenches indicates that these trenches have been dug very recently.